There are several factors affecting HVAC system replacement costs. In this guide, we outline those factors and give you a good idea of what you can expect as you make decisions about your next residential heating and cooling system. 1. Quality and Performance: All top HVAC manufacturers make a variety of models to meet the demands of diverse consumers. The top-quality products are usually also the best performing products. Staged heating and cooling, variable-speed blowers and communicating technology are common in the top of the line models, which are also the most expensive models. Lesser models feature single-stage and single-speed performance. They will cost less, sometimes significantly less. 2. Efficiency: This factor doesn’t always correspond to quality. Top brands make their best models in a variety of efficiency levels to accommodate customers in differing climates. For example, Trane’s 2 best furnaces are the 95% efficient XC95 for use in cold climates and the 80% efficient XC80 for use in milder climates. The more efficient a product is, the more it will cost. 3. Size: The larger capacity components you need, the more they will cost. However, this factor is not as significant in the overall cost as the other factors. 4. 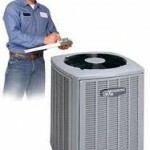 Removal and disposal of the old HVAC system: Disconnecting and removing the old HVAC system can be a time-consuming job. There may be additional charges to properly dispose of it in your area. The cost of removing and disposal of the old system might add $300 to $500 to the total cost. 5. Installation: The cost of installation can vary quite a bit. The relative ease or difficulty of the installation, including the amount of extra material (gas line, vent pipe, refrigerant line, sheet metal, etc.) will greatly affect installation costs. The time of year may also be a factor. For example, if you need to have an HVAC system replaced in the heat of summer, installation will probably cost more at that time because it is a busy time for HVAC contractors. If you can have the system replaced during a slower period for contractors, you will likely receive more competitive estimates. We base our equipment costs on systems that would fit an average home, 1,600 to 2,000 square feet. 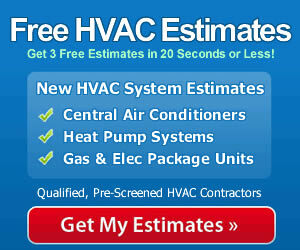 We use a 100,000 Btu furnace and a 3 ton air conditioner or heat pump. Lower efficiency, lower quality models will cost less. Higher efficiency, higher quality models cost the most. 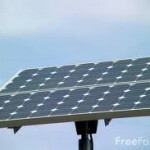 In terms of installation, the more time and materials are needed, the more it will cost. As you consider different systems for your home, these estimates will give you a very good idea of what to expect. Don’t forget to add the potential cost or removing and disposing of the old system. Be sure to get at least 3 estimates from local qualified contractors in order to get the best prices on equipment and installation.